So this week we have been looking at kits. 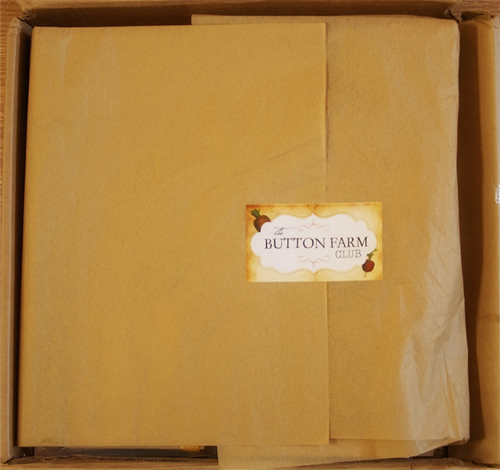 This is The Button Farm Club. 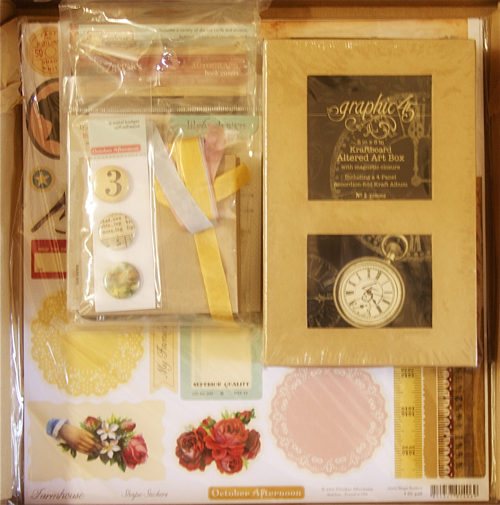 It is a fantastic kit collaborated between Scrap-Mart.com and The Button Farm. So let's find out what this kit has! Presentation: This kit was nicely put together. Everything in neat and tidy bags and everything was easy to find! Usefulness: This is a project kit. There is only one focus, usually being an album. 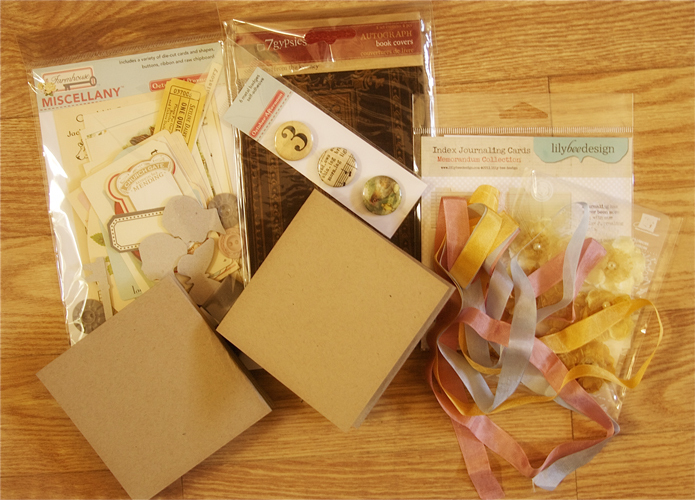 However, there is so much product included that you can make other projects with the left overs! There is an high quality brochure of instructions to complete the project, which is HUGE! Cost effectiveness: For this kit club the price varies as the projects vary. It ranges from anywhere between $35-$65 a month. 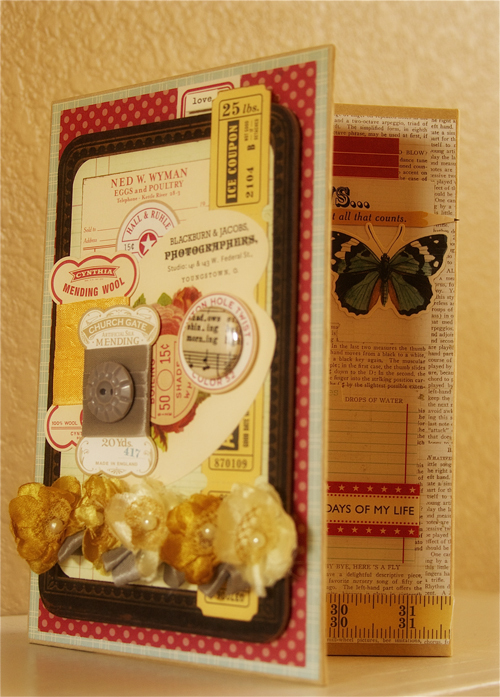 Shipping is $7.50 per kit to the US and $15.00 per kit to Canada. Now this may seem a hefty price and it is. However, as stated above, there is so much product and the quality of project ideas that come with it is absolutely worth every penny. No question. - I liked the packaging and the way it is simple and tidily put together. - I LOVED the amazing instruction brochure that practically holds your hand through the whole process of making the album. -The amount of product was as I've never seen in a kit before. FANTASTIC! Nothing- even the price which is hefty, is absolutely appropriate in this case. 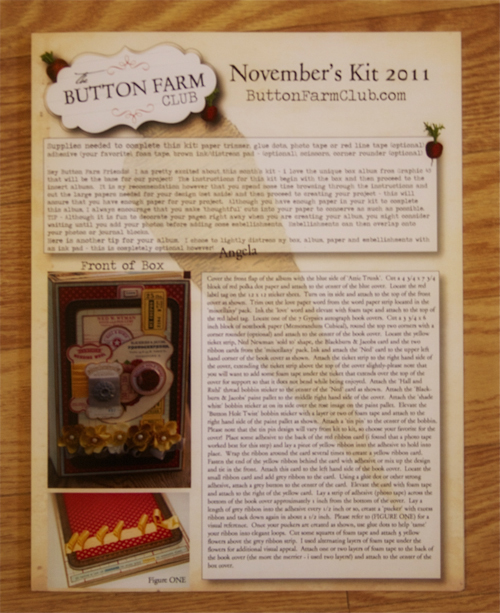 Supplies: All supplies included in The Button Farm Club November 2011 Kit. I absolutely loved this kit. It is amazing. The amount of product in the kit is phenomenal. The quality of everything, from the product to the fabulous instructions, is fabulous! What do YOU think? Is this a kit that interests you? Are you a project type? Like mini albums? Let us know!! This sounds like my kind of kit! 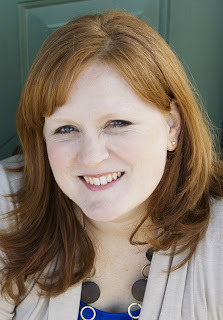 I spend way too much time looking at my product "wondering what to do or where to start". I love that this kit has instructions. 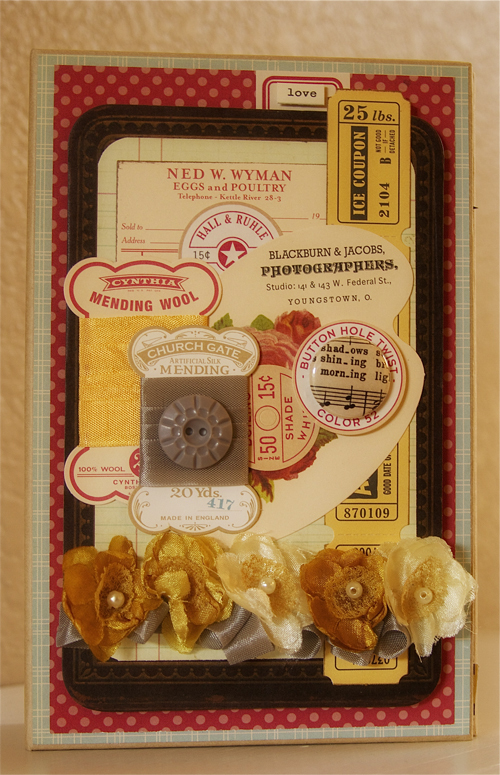 Just a plus to have extra supplies to use on another project! This is really cute!! 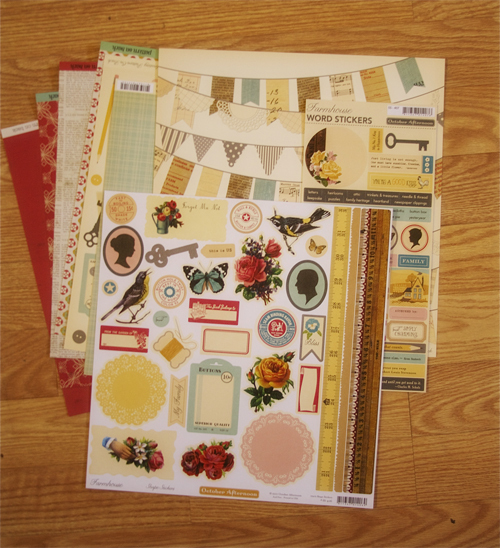 I had never heard of this company before I went to the Scrapbook Expo last week. A lady working in another booth said she is hooked on their club. So I checked it out that day. The products are really nice, but the price is sort of high. Good quality products, though. 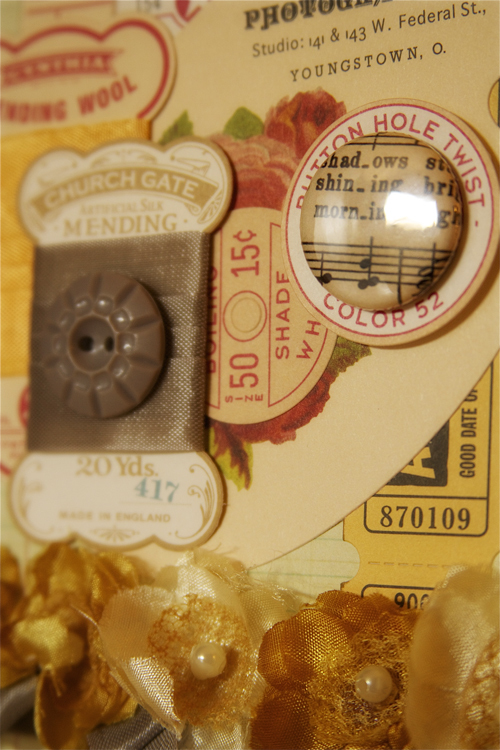 OMG, two very good online friends of mine have RAVED about The Button Farm! One of them made this AMAZING 40th birthday album for herself, and it's just unbelievable! They both go to expos, so that's how they know The Button Farm! I've looked at their kits, but after not being able to get the one that my friend used for her 40th birthday album, I hesitated to buy one. They really seem like a great value if you want to make a very special album! I love what you made! Just fantastic!! Instructions that walk me through the creation-this was made just for me.Thanks for the bringing it to my attention-I'm going to check it out right now!